Our modern surgery was designed with optimal comfort and relaxation in mind. When you visit with our Howick family dentists, you’ll see just how effectively we can help to ease your anxiety about dental care. We utilise advanced equipment and care practices, to ensure the best possible treatment results for each patient. Not only does this make your procedure more comfortable, it increases efficiency and safety so that you spend less time in the dental chair. Through services like digital X-rays, we are able to limit the exposure to radiation as well as help you better understand your oral health. Printed brochures and informational material is also available in our reception area. A+ Dentists focuses on preventative care techniques that limit the need for dental treatment in the future. This allows you to extend the health and integrity of your natural teeth for as long as possible. Have you ever been to a dental office that just seemed stuffy and sterile? 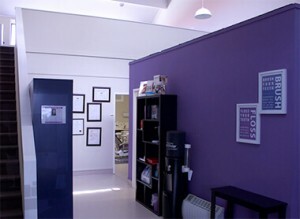 At A+ Dentists, we’ve been delivering personalised oral health services since 2012. Our team of dentists have the experience and demeanour that allows them to communicate closely with the personal dental needs of patients of all ages.